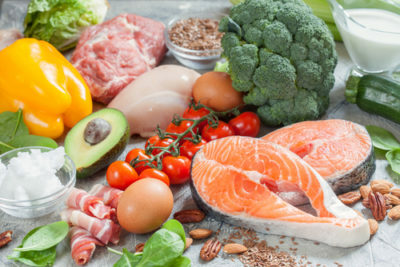 The keto diet is another type of diet that involves lowering the intake of carbohydrates, similar to the concept behind the atkin’s and south beach diets. These diets are becoming more popular because they claim that they can help you lose weight by better regulating your blood sugar levels through the reduction of carbohydrates. This is another diet that relies primarily on fat as an energy source as opposed to carbs, but how effective is it? What is the Idea Behind the Keto Diet? The concept behind this diet lies within its name, ketosis is a body process where you stop burning carbohydrates to generate energy and instead turn to fat as the primary energy source. To do this the individual has to limit themselves to less than 50 grams of carbohydrates a day, if not less. Most people who adhere to this diet shoot for less carbohydrates so that they can binge on foods like vegetables which also contain carbohydrates as well. Remember the key to this diet is staying under that carbohydrate threshold, to where your body must resort to using fat. If you cross over that threshold the diet is essentially ruined. Are There Different Types of Keto? There are two different ways people go about implementing the keto diet. The first way is something called a targeted keto diet, and the other is called cyclical keto diet. The target keto diet is one where you will eat you carbs immediately before and after you workout. This is ideal for people who play sports or partake in other high intensity exercise in short period of time. These activities require additional carbohydrates to fuel the athletes, and this method ensures that they are still getting the most out of their workouts while still being on the keto diet. 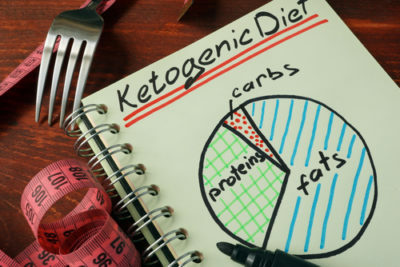 The second method is called the cyclical keto diet where the individual eats the minimum amount of carbohydrates per day as possible to function, and then binge eat on the weekends to replenish their glycogen stores. We have about 400 grams of carbohydrates stored in our muscles, and another 100 grams stores in our liver. Eating 30 grams of carbohydrates daily to replenish these depleted stores is inefficient, hence the carb binge on the weekends to supplement the difference. If you choose this method make sure to eat these carb rich meals over an extended period of time so that you don’t spike your blood sugar levels. Do so and you are going to cause your body to secrete insulin which is going to encourage fat accumulation. This is a delicate balancing act that requires a lot of practice and experience to properly pull off. 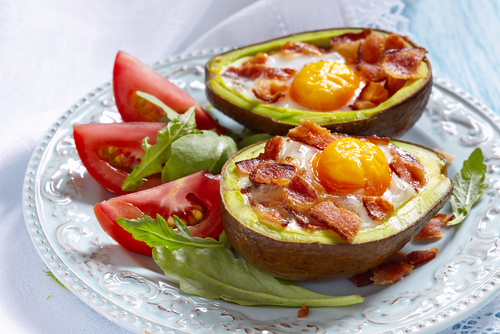 How Do You Get Started on the Keto Diet? The first thing you have to do is determine how much protein you are going to need daily. To get a general idea of that that is, figure out what you lean muscle mass is. When you determine this, this is the number you use to gauge how much protein you need for the day. For example if you weigh 180 lbs and 50% of that is muscle mass, you should eat minimally 90 grams of protein per day. To figure out how many calories that comes out to, multiply that number by 4, which is the amount of calories per gram of protein. The rest of your daily requirements when it comes to calories is going to come from fats. Don’t be too concerned about the carbs, you will get enough from the vegetables you eat throughout the day and through other sources of food as well. The fat on the other hand is something you should calculate. This is going to take a little more math but is worth the effort. First you need to figure out how many calories you need to function daily which is about 15 calories per pound of body weight. Take the number you have from the protein calculation and subtract the calories you are going to eat through protein from the total amount you need per day. The difference between the two is roughly how many calories you want to get from fat a day. Keep in mind when doing so that fat has 9 calories per gram which is more than double the 4 calories per gram of protein or carbohydrates.